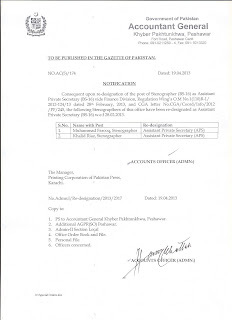 Many Many Congratulation on your well deserved Re-designation. May Allah Almighty give you more success and prosperity in your life. You have done so many good deeds which are really commendable. Would you like to tell me when will all the Stenographers be Re-Designated? When Est Div amend its Recruitment Rules then the Order of Re-Designation be implemented? Because our Departments are not ready to Re-designate us unless Est Div amended its Uniform Recruitment Rules. I try my best to finalize the issue with the Help of Establishment Division. The forum is silent from a long time. Why. All of you must have seen the letter of Finance Division, Regulation Wing regarding Computer Allowance. I want all of you to please comment. Finance Division, Regulation Wing Ka letter 1992 k letter ki clarification he jis ki roo sey Stenotypist ya Stenographer ko koe faida nahi. Hum log is ki kisi shert per purey nahi utertey. 1992 Ka letter bahot purana he. Nae halat ki waja se is ko revise kana chaiye aut Stenotypist/ Stenographers ko bila imtiaz by-designation computer allowance allow karna chahye q k hum log sirf aur sirf computer ka kam kertey hein ko aur nahi. Is k liye tamam dostoon ko bherpoor awaz buland kerna chahye. With great sorrow we announce the demise of our beloved companion Javed Iqbal Siddique Data Control Assistant Who passed away on Wednesday, May 16, 2013. Late Javeed Iqbal Siddique (DCA) was also appellant in the judgment dated 01.01.2013 for Appeals No. 435 to 460 ( R ) CS 2012 passed by the Federal Service Tribunal. 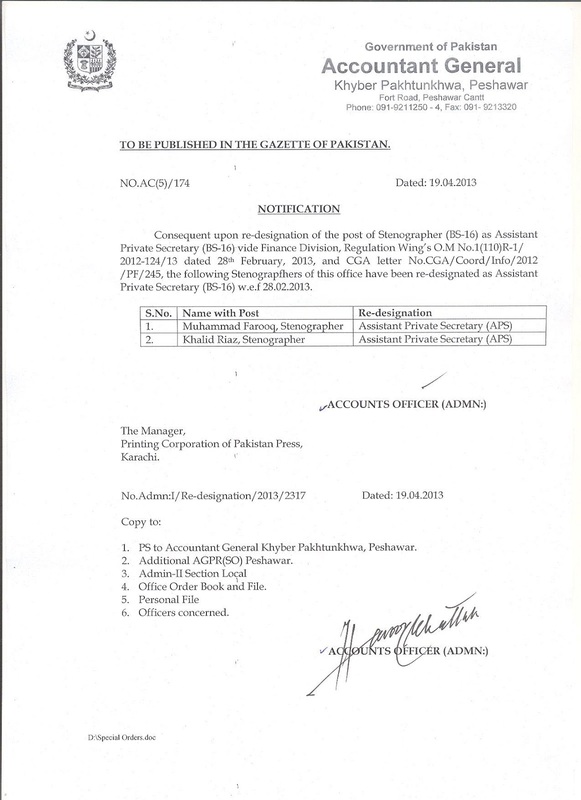 Where FST directed to decide the claims of DCAs (BPS-10) for up gradation to (BPS -16) with the designation of Data Processing Assistant. The Tribunal has also directed the secretaries to submit a compliance report to Registrar of the tribunal within Four months counting from January 10, 2013. Unfortunately till to date no action has been taken and late Mr. Javeed Iqbal Siddique (DCA) not up graded in his life. Please recite surah-e-Fatehe for the departed soul.